I haven't written enough about my Teen here on the blog. 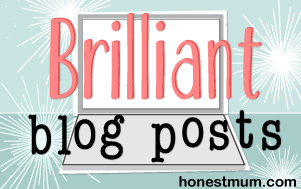 I've posted the odd thing but I haven't shared the oh-so-many trials and tribulations that life with a teenager brings. And I have SO many stories that I could share that would make interesting reading!! I will start documenting things a bit more I think! This story is one of the good ones! My Teen is 15 and, as teenagers often do, he can cause me a fair bit of stress at times but in general he's a great kid. And he's now in Year 11 at school, his final year. How did that happen?! I can't believe it to be honest with you. I know it's a cliche but once your kids start high school time really flies by. More than that for me, these years have literally whizzed past like a hurricane whirlwind at the speed of light, leaving me sitting here wondering what the hell has happened to my little boy! And now, here he is, getting ready to sit his GCSE's next summer!! It's fair to say though that high school for Teen hasn't gone smoothly. There are many dimensions to that comment and so many instances that I could cover where Teen has been in difficult times (he's had great times too I should add) but this isn't the post to go over them. He's been in trouble at school, from mostly minor things like not completing homework or being a little cheeky to teachers, to some major instances which stressed me out no end! All the while though he seems to have split opinion at his school. On one side you have the teachers that, and I'm not joking, literally LOVE him, they think he's amazing, and have no problems with him what so ever. This is double for any P.E teachers who worship him! On the other side are those teachers who Teen doesn't get along with at all, teachers that he's rude to and shows little respect for and in return who probably hate him! I've met with the Head Master on a number of occasions and he tells me how much he personally likes Teen but equally lets me know that he really needs to drop his attitude and get the most he can out of school. We are all hoping that Teen will knuckle down this year, he has to, this is the final push. He's a bright boy and is in top sets for most subjects but he hasn't been achieving his potential. Today I learned something which has made me the proudest Mum on Earth right now! Teen has given me lots of proud moments during his short life, the majority of them have been sport related, he has been an outstanding athlete throughout his school years both at school and out of school but today it was very different. His English teacher called me to let me know that he scored the highest marks out of the whole year for an English GCSE controlled assessment (this is coursework that is done in school now, rather than at home as it used to be in the past). I was shocked! OMG I was so happy but it took me completely by surprise as English was one of the subjects he always misbehaved in. He hated it as a subject and claimed he wasn't very good at it. He hated his teachers and I was beginning to despair. But last year things seemed to turn around, slightly. The Head of English decided to take him out of the class he was in and put him into his. He couldn't stay there as his lesson was full but he promised to find him a different class and teacher. Teens school is huge. There are usually 10 sets for subjects, with two classes in some of the sets and they're all usually full, so moving him mid way through the year was going to be difficult but he found him a class with a teacher that Teen clicked with straight away. He was away from students that distracted him, and he immediately told me he was learning much more in this lesson, which was great for him and relief for me! But I wasn't expecting this! His teacher called me because she was overwhelmed with pride and at how well Teen had done! I could almost hear her jumping up and down with joy! She explained that this particular English Literature paper was a very difficult four hour long assessment, and that Teen had understood exactly what was required and included every single thing he needed to, to gain maximum marks. It gave him a very high A* result and she said it was outstanding what he had achieved considering where he had been a year ago, she was very hopeful for his overall result next summer after the final exams! I wanted to cry. Bless this woman for bringing me such fantastic news and for helping my son to achieve his potential. And hats off to Teens Head of English for doing what he did at just the right time. I honestly believe that some teachers are simply born to be in that job, they know how to bring out the best in a student and instead of whining and moaning and handing out detentions every five minutes, they encourage, build confidence, support and inspire. My son has been lucky to have a few key teachers at school who have been amazing with him. But ultimately, it's the child who has to do it for himself, and it looks as though Teen has finally got this! He has truly turned things around for himself and even though he makes me proud every single day just by being him.... knowing what he has achieved in that English assessment has blown me away! I'm so very, VERY proud of him ..... I could burst! Such a lovely post. I feel like crying for you! Very well done to him – great to be achieving like this at the start of year 11, it must make you feel really positive for GCSEs. The ‘some teachers love him, some teachers hate him’ thing totally reminds me of my brother. There were some who thought he was the worst kid they’d ever taught (he really wasn’t), but others who thought the sun shone out of his ar*e. Sometimes it takes the right teacher to understand a kid. That’s definitely a moment to be proud of! I’m happy for you, especially since he proved people wrong. I’d be over the moon too if this happened to me. Well done you, and well done him! 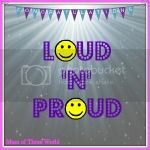 🙂 #loudnproud.